Some conventional wisdom isn’t so wise. Productivity experts weigh in on some commonly held beliefs that are just wrong. If you’re looking for ways to be more productive, you’ll find no shortage of advice. From apps and process consultants to books and blog posts, people have a lot to say about the best way to make the greatest impact with your time. But, some of that advice isn’t helpful – or is flat-out wrong. Here, productivity experts share their thoughts on the productivity myths that need busting. Want to write that novel? Get up an hour before usual and devote that time to putting words on the page. Need to fit exercise or meditation into a busy day? Set the alarm an hour earlier. After all, the early bird catches the worm. Not so fast, says Stuart Hearn, CEO of Clear Review, a performance management software company, and former human resources (HR) director at Sony. “Not everyone is a morning person. We all have different productivity rhythms, and while some people are more productive in the early hours of the day, this isn’t always the case,” he says. If you’re waking up early when your best work or high-energy times are in the afternoon or evening, you could be undermining your best work times. 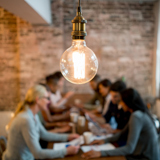 Fortunately, flexible work arrangements are increasingly popular, which helps employees have more control over working during their peak energy times. “Productivity is much more about finding out what makes you tick, rather than trying to adhere to an ideal or a set of rigid rules that includes ‘wake up at 6 a.m.,’ ” he says. When you find that productive time, another common piece of advice is to devote it wholly to the most important work you have. So, whether your productivity sweet spot is 8 a.m. or 2 p.m., you shouldn’t use that time for rote tasks. But, sometimes there’s an urgent email that came in overnight or you may have to provide some feedback for a project to move forward. Plus, you can only concentrate for so long and still be effective, says Sarah Vaynerman, founder and CEO of Work from Om, a yoga and meditation instruction company. Vaynerman recommends working in shorter time blocks, focus deeply on one thing at a time before moving on to the next. She calls it the “40-10-10” rule. Inspired by the Pomodoro method, the 40-10-10 rule was designed “as a modern-day solution for a full hour of productivity, break, and communication.” It calls specifically for 40 minutes of dedicated work on one task, 10 minutes to take a break, and 10 minutes to respond to any missed texts, emails, or notifications. She says this approach lets you focus without the negative effects of multi-tasking, and keep up with a busy workplace that has frequent communication. We’ve heard a lot about the downside of multitasking; nothing gets done well. But multitasking doesn’t just affect the person trying to do too much. If you’re not focusing on the email you’re dashing off, you might make critical mistakes or come across in a harsher tone than you intended. You may alienate your team and get a reputation as someone who is constantly overwhelmed or a poor communicator, says business coach Gayle Bu, who specializes in productivity and time management. “So, all of a sudden, everybody’s time is being wasted with this relationship issue that actually wasn’t even an issue, you were just trying to shoot off some Slack messages and get some stuff done,” she says. Automation is the future, and technology allows us to share information more freely instead of keeping it in silos. Well, until it doesn’t, says Adam Ward, associate partner at Simpler Consulting, an IBM company that specializes in change management in health care companies. That may seem surprising from someone who works for one of the world’s largest tech companies, but “sometimes us trying to get it into a digital format because that is what we’re used to or that’s what people are asking for isn’t the most productive way of doing things,” he says. But think about the best format for sharing information before you commit to a tech solution. If you’re brainstorming or want people to share ideas, sometimes an old-school white board is the best solution. Sometimes, handing out an Excel spreadsheet in a meeting is the best way to give people the information they need, or picking up the phone is better than sending a long message in your project management system. When you’re trying to focus, it’s a good idea to turn off notifications and perhaps even use a website blocker like Freedom to avoid the temptations of social media and cat videos. But, if you’re trying to keep to a schedule, silencing your phone or computer may leave you without alarms or reminders. But Bu uses her smart home device to set reminders. Whether it’s making a call or moving on to the next task to meet a deadline, the device keeps her on task. Just because you do things efficiently doesn’t necessarily mean that you should take on more projects, says business coach Don Scott. It may feel like productive people should take on more projects, but that can simply result in undermining your efforts, he says. Ward agrees. “As a world-class triathlete, I often coached newcomers to the sport that slower is faster. The science rests in the physiology of the heart. The same is true with projects at work,” he says. In other words, when you are able to streamline your efforts and increase your impact, don’t be tempted to overload yourself with more projects that will dilute your effectiveness.